Vacation rental house. 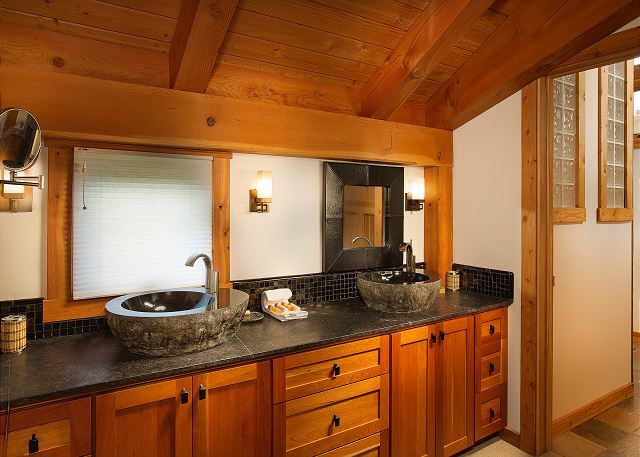 Sleeps 7, 3 bedrooms, 2.5 bathrooms. Dogs allowed. Unit 34A Lot 25. 3 Bed/2.5 bath. 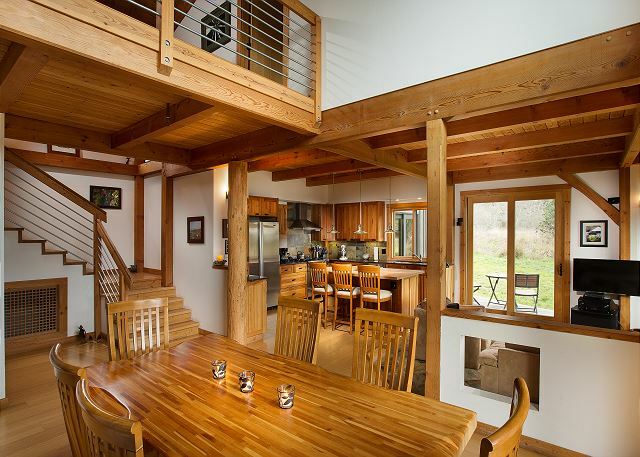 Constructed in 2006, this timber-frame home has blue water views across the meadow from both floors. Located directly across the street from the Del Mar Center (swimming pool, tennis courts, sauna, activities,and garden) and a short walk to the bluff trail. Travel lighter…this home is kid friendly with games, toys, books, DVDs, ping pong table, dart board, and lawn games. Three bedrooms and 2.5 bathrooms plus a high-end kitchen and a fresh water Jacuzzi bathtub, located in a separate private room off the back deck. Two gas woodstoves. 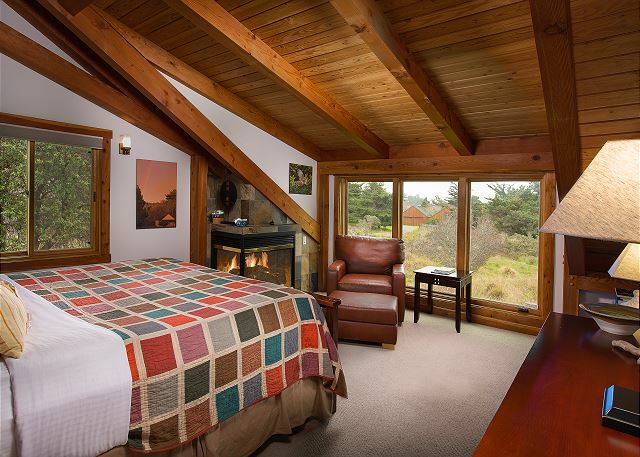 There are two master suites, each with king-sized beds, and the third bedroom has two twin beds and a trundle bed. a guest from Manchester center, Vt does not recommend this vacation rental. We had a pleasant experience- the home was almost as expected- the upstairs view was merely a glance at the ocean from further away than expected and there was no visibility from downstairs at all; this was too bad due to the proximity to the water. It was reasonably stocked- no tennis ratchets for use at the courts but clean and pleasant for our stay. 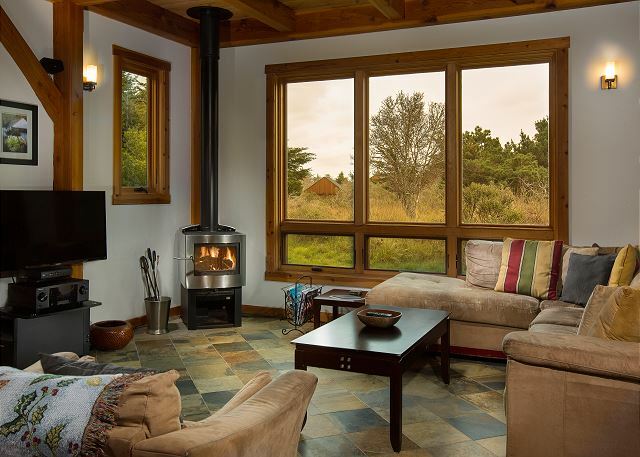 We just returned from an amazing week in Sea Ranch, and our stay at the Barn was wonderful! It was two couples, each with their under 1 baby, and the house was set up really well for all of us to share space, and let the babies crawl around. The few things I would note are that each master bedroom has a cut out detail that lets noise from the common areas in. This problem was solved for us by using the kids bedroom downstairs as a playroom, but could be difficult for families planning to use each room. The house is clearly lived in (in a nice, charming way) but the hardware in the bathrooms, as well as some of the furniture needs tightening as a number of things seemed ready to fall off the walls, or collapse (ex. the living room coffee table until we tightened the screws). We will be back for sure, and thank the owners for sharing their wonderful home. This trip was like joy, excitement and impression that seemed to walk on a dream road. Awesome house in spectacular setting! The Barn was unbelievably comfortable and well appointed. From every kitchen utensil to bikes in the garage, it has everything. Within walking distance of the bluff and across the street from one of the rec centers, it is ideally located. Didn't want to leave and can't wait to go back. We loved the views. Watching the sunset over the Pacific is one of our favorite things to do. But the house was not as clean as I would have expected and there were a lot of cobwebs. Also, the kitchen seemed to be missing some essentials: foil, tupperware, Pam, dish towels. We had to get rid of leftovers as we had no way of storing them. It would have been nice to see the kitchen a bit more stocked. However, overall this is a great house. My family found The Barn to be just about perfect for our brief, family-reunion needs. The home is spacious, airy, well furnished, close to hiking trails and beach areas, and is very kid friendly, with lots of toys, puzzles, books, games, and fort-making materials. We did not use the ping-pong/recreation room much due to a musty, moldy smell, but there was plenty else do to. 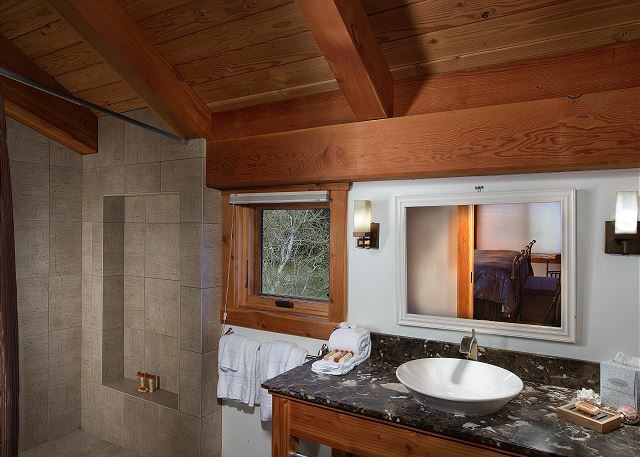 We also did not use the Jacuzzi room at all due to its awkward location, right off the kitchen. The kitchen had all the appliances and supplies we needed--coffee maker, toaster, microwave oven, large fridge, adequate mismatched dishes, pots and pans, cooking utensils, and serviceware--but the gas stove was tricky to use and dangerous. Oftentimes, the burners failed to light, and, the last night we were there, in the midst of dinner preparation, one of the burners would not turn off at all--a definite safety hazard. Management had to come out to disable the stove and turn off the gas completely. We were unable to use the stove the next morning for breakfast, but managed with cold cereal, toast, and fruit we had on hand. As a result, I received a fair discount, without even asking for one. Whatever deficiencies we experienced with the accommodations were made up for in the joy of our family being together again with our beloved, six-year-old grandson and nephew, who, upon entering The Barn exclaimed, "This place is awesome!" Overall, we had a marvelous time. We enjoyed two nights in this very nice home with top of the line furnishings. Would be perfect for two couples with or without kids. Extremely comfortable. Would be most happy to rent this home again. On behalf of the team thank you for taking the time to post a review on your recent stay at The Barn home. We appreciate the great feedback and hope to host you again when your travels bring you back up the coast. Don't let the name The Barn fool you. This home was the perfect stop for us on our long road trip. Nice amenities, beautiful location and great weather make for a unforgettable stay. Great house although very close to Hwy 1, which means you hear traffic noise. Could have been a little cleaner upon arrival (cold cuts left in fridge, garbage on the deck, soaking tub was kinda dirty). House could use a little maintenance as well (certain windows non-operational, broken). Beds were kinda ******. Thank you for taking the time to post a review on your recent experience at The Barn home. On behalf of the staff I apologize for the cleanliness issues you encountered, please know that I will be sure to mention this to my team and management to ensure we are more diligent when checking the home. Quiet weekend retreat in convenient location, across from Del Mar Rec Center and close to trail leading to Walk On Beach. Nice privacy from road and adjoining neighbors. I rented 'the Barn' for my wife's birthday. We had a few couples and the whole experience was amazing. The house is better than the photos even show and the whole environment is flawless. I can't wait to get back there again. I stayed at this home while attending a wedding at the Sea Ranch Lodge. The home was beautiful and we were pleasantly surprised because the photos on the website just didn't do it justice. The front door is hidden by an old barn door and the interior is log cabin style, with a classy modern twist. You can see tiny peaks of the ocean from the second floor, but the views of the surrounding forest and backyard were wonderful. 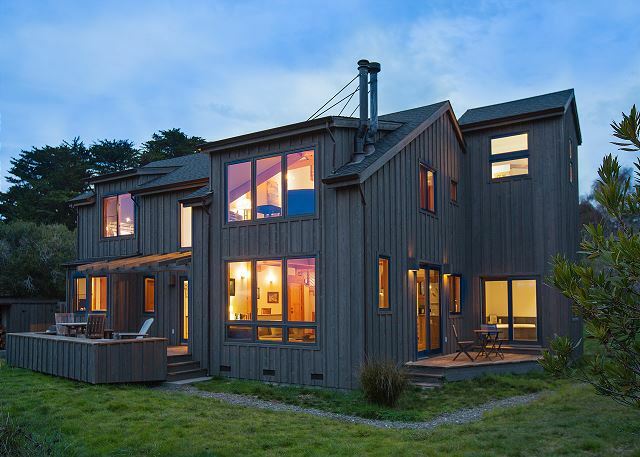 The home was less than a ten minute drive from the Sea Ranch Lodge and people attending the wedding thought the accommodations in the house were nicer than their rooms (minus the small ocean view). The home truly had everything we needed and made the trip extra special. Great experience, we will definitely return. 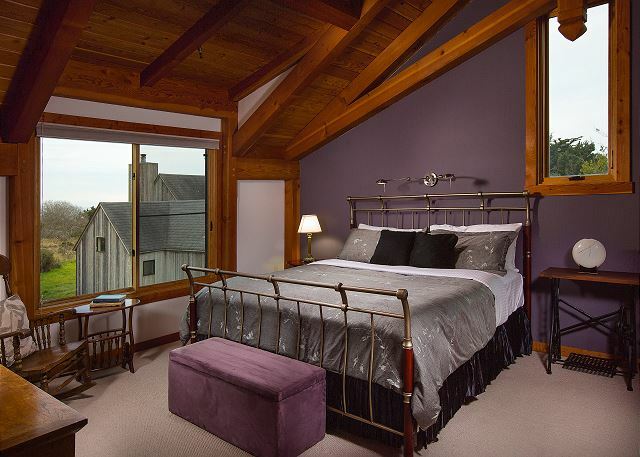 The Barn is an excellent choice for 2 couples since it has 2 master suites and an open kitchen. The views from the second floor are exceptional and the view is private from the first floor with wildlife rooming the area. Very quiet. I would give this property 5 stars if the grill had been working and the ant problem was solved. I am sure that the management will take care of both of these problems before the next guest since they were attentive to the other minor issues we reported. We would recommend this property to anyone. Beautiful home thank you !i would recomend the Barn to all my friends! Trails and sightseeing was enjoyable. Dear Kristina, Thank you for taking the time out of your schedule to post a review on your recent stay at The Barn. I'm glad you had a wonderful time staying at the home. Each time I go to the house to check up on things I am always blown away at how beautiful this house is. We hope to host you again in the near future. We wanted to get away for the weekend and stay somewhere that was near the ocean. Wow this place was amazing! Like another reviewer said the pictures do not do it justice. We had a great time walking the bluff trail everyday and taking the dogs to run on the beach. The kitchen was great and had everything we needed to cook. Jetted tub was a nice bonus. The house was completely updated and very clean. I kept saying I wish I lived here. We never made it to Sea Ranch lodge or the restaurant because it was closed for a wedding, but that didn't even matter. The house is off from the water but you can still see it from the windows and can easily access everything! Dear Molly, Thank you for the absolute wonderful review! I'm so glad you had a great time while visiting and we look forward to welcoming you back again and again. 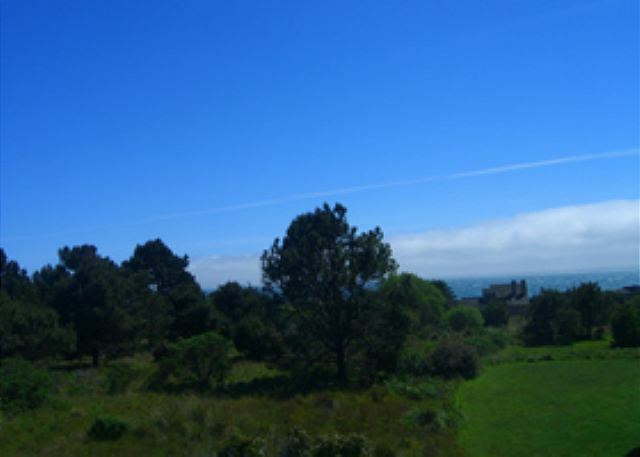 We rented at Sea Ranch to have a vacation with our son, his wife,and baby. Weather was great (cool but sunny), the house was nice, and the bluff trail and ocean views from it were awesome. Might have liked to be a little closer to the ocean and the lodge, but it was nice to be close to town. WiFi at the rec center was not good and inconvenient, so having WiFi and/or internet and/or TV in the house would have been nice. Sign-in at the lodge was a little confusing (staff member initially didn't want to give us two passes for two cars and two couples, did not provide much information though we figured things out). There were a few minor repairs needed (front door knob fell off, etc). Bottom line, we had a great time and would return. 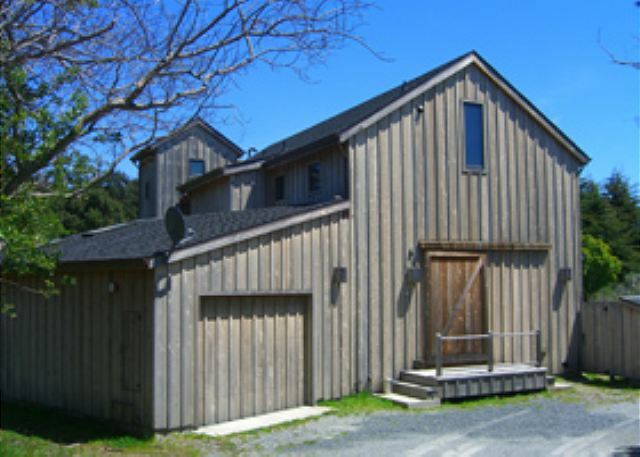 We loved our stay at Sea Ranch! There were some great trails to hike, and it was conveniently close to town. The Barn was beautiful and clean. The kitchen was great for cooking in, and the Barn was designed to take advantage of all the amazing views - we can't wait to go back! When we arrived on June 22 at the house, it had not been cleaned at all. After we called, two ladies came to clean the house and in their haste they left behind a pile of used towels (but they had also left clean towels on the racks). The grill outside was dirty but they cleaned it after I drew it to their attention. (They might have checked it themselves but maybe not.) They were very pleasant and thorough, and the delay was certainly not their fault, but it was two hours after we arrived at the house before we actually could unpack and move in, so we barely got things ready before the other couple, our guests from Southern CA, arrived. On June 24, a "manager" - ?Lowell? arrived and knocked on the door to tell us that we should have vacated the house that morning; after a few minutes he realized that he was one day off on his dates, apologized for bothering us, and left. We had a lovely 3 day holiday at the Barn at Sea Ranch. This place is even better than the photos lead you to believe. The kitchen was extremely well appointed and the entire house was very comfortable. Heads up, this property is quite a distance to the lodge, if that matters. It didn't to us and was only a 10 minute drive. I would most definitely stay again.